New generations of cars and airplanes enjoy a lot of attention, while trains are not perceived to have changed so much since they were invented. 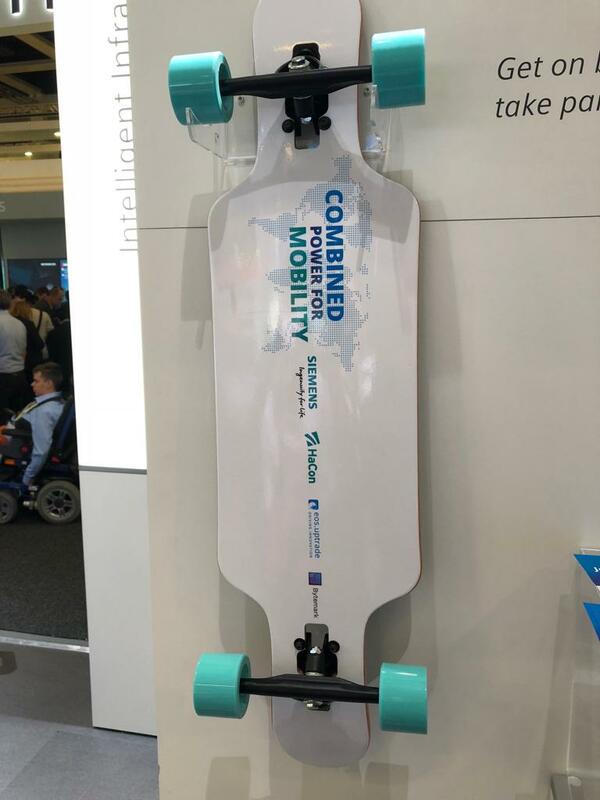 The industry is now rapidly evolving with new technologies providing it with many compelling ways to offer transport solutions for future cities and freight. 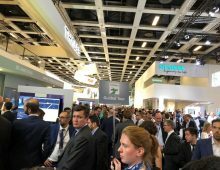 InnoTrans (18-21 September) is the big event for the rail industry taking place every two years in Berlin, filling the exhibition centre for four days. 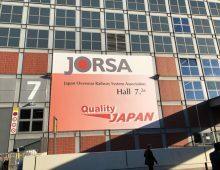 Many companies take the opportunity to make announcements around the time of the show. 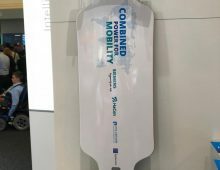 Knorr Bremse, the privately owned German pneumatic brake specialist, revealed plans of an IPO, with press talking of a €12bn valuation, making it the second largest listing in Germany this year. 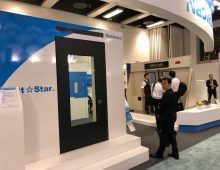 The company has in recent years enjoyed a big lift from China demand. 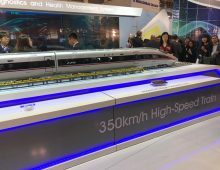 There was an announcement of a $2.9bn contract for operation and maintenance services at the Riyadh Metro in Saudi Arabia awarded to a consortium of Ansaldo STS, Alstom and Ferrovie Dello Stato Italiane. 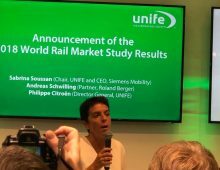 UNIFE, the European Rail Supply Industry Association, announced the 2018 World Rail Market study results. 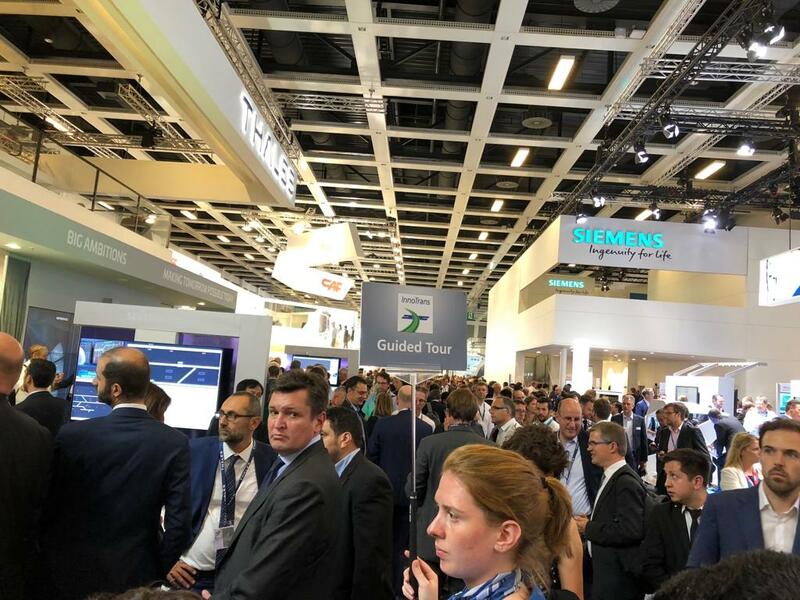 This is the 7th edition of this biannual publication including forecasts for the period to 2023. 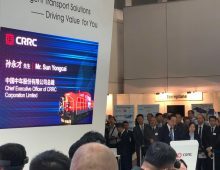 This event started with a speech by Sabrina Soussan (Chair UNIFE and CEO of Siemens Mobility). 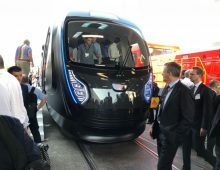 She stressed opportunities such as growth in urban populations – 2.5bn more people are expected to be living in cities by 2050. 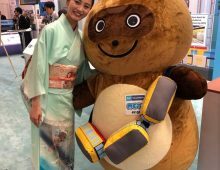 She highlighted three challenges for the industry: digitalisation, financing and protectionism. 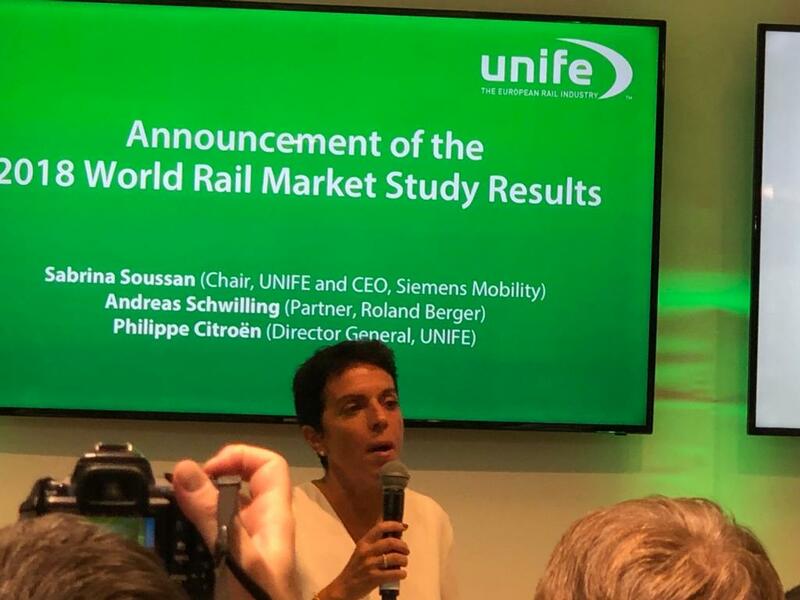 UNIFE expects the annual market for rail supply to rise from €163bn (2015-2017) by 2.7% to €192bn in 2021-23, with growth fairly similar across the four segments – infrastructure, rolling stock, rail control and services. The highest growth region is forecast to be Africa and the Middle East (+5.2%). 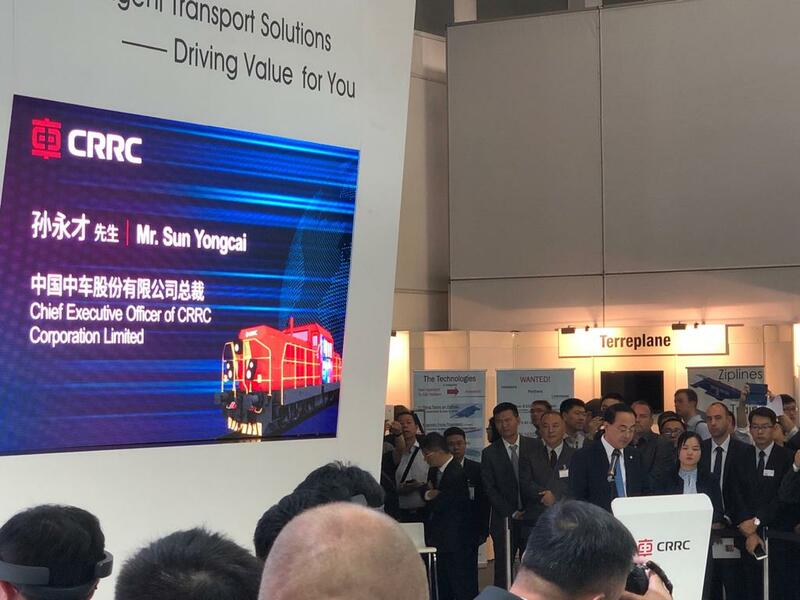 CRRC from China is the largest company in the industry by far and once more had an impressive stand, featuring its CR400 high speed train (350km/hour) and AITS, Air-Track Intelligent Transport System – a suspended monorail for freight. Outside there was much interest in its sleek prototype carbon fibre train Cetrovo. 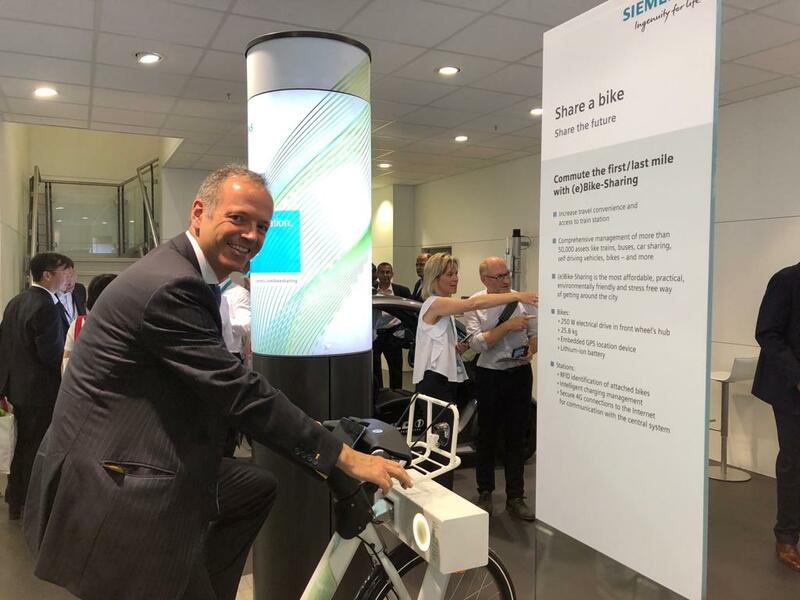 At the Siemens stand there was were some e-bicycles, with a sign encouraging us to “commute the first/last mile with (e)Bike-sharing”. 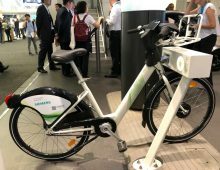 The company has a contract for 1,410 bicycles with the city of Lisbon. 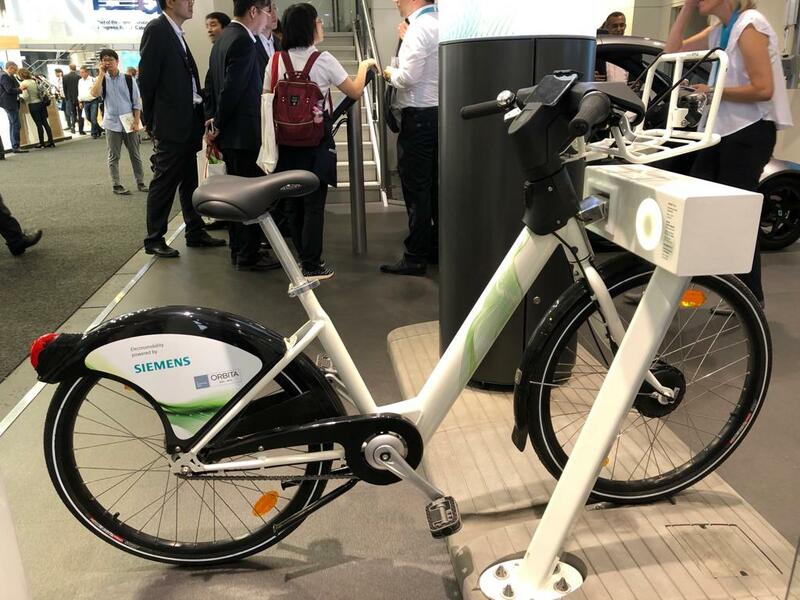 The e-bicyles are popular with the elderly and because of the hills. 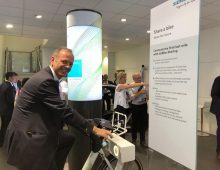 450 bicycles have been delivered and there are an average of 5,000 trips/day. 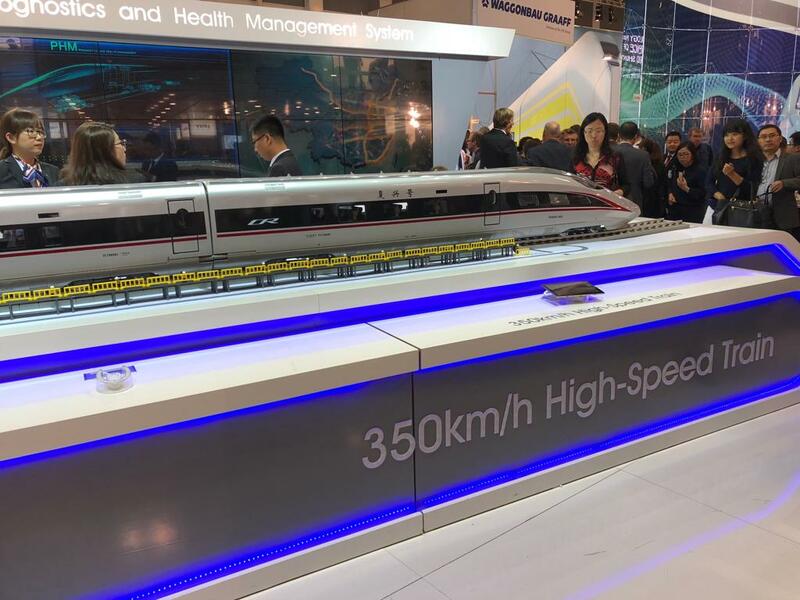 This is all part of the ITS, intelligent transport systems, offering intermodal solutions. 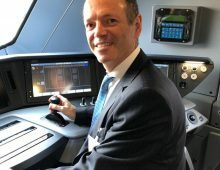 Siemens has acquired companies such as HaCon (trip planning), eos.uptrade and Bytemark (payment systems). 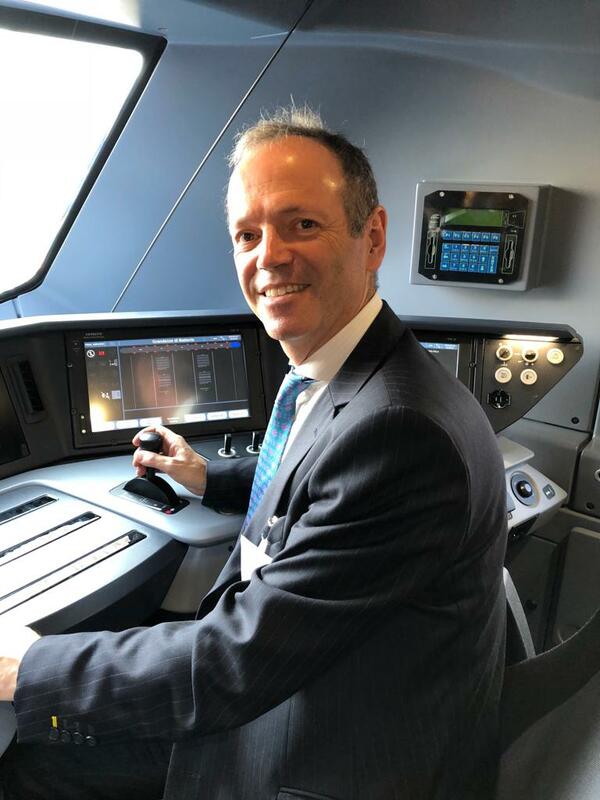 An example of ITS is the Siemens contract with Südostbahn in Switzerland allowing payment by Bluetooth for intermodal trips. 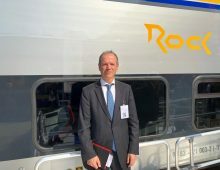 The Italian Minister of Infrastructure and Transport Danilo Toninelli unveiled the regional trains for Trenitali branded Rock and Pop, to enter service in May 2019. 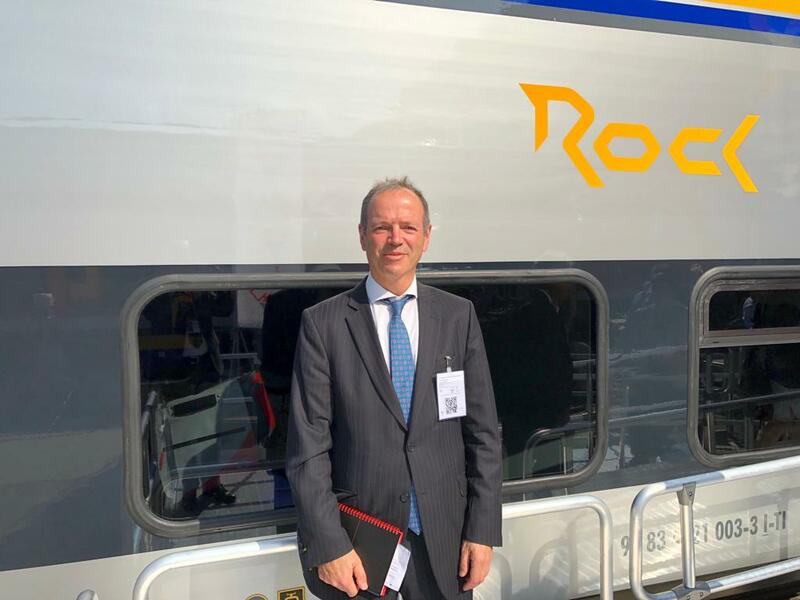 The value to Hitachi Rail of the framework agreement for Rock is €2.6bn. 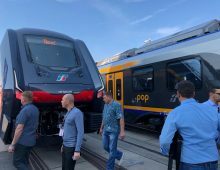 Many people found themselves enjoying the comfort of these well air conditioned trains on a day when September temperatures were rising above 30 degrees. 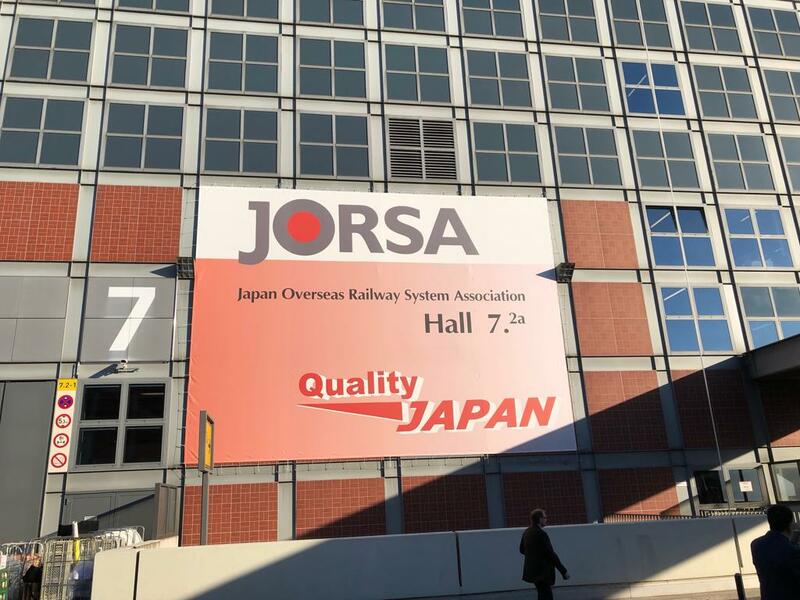 JORSA (Japan Overseas Railway System Association) in its 9th InnoTrans appearance had its own pavilion with booths for 13 of its 36 members to showcase manufacturers and operators. 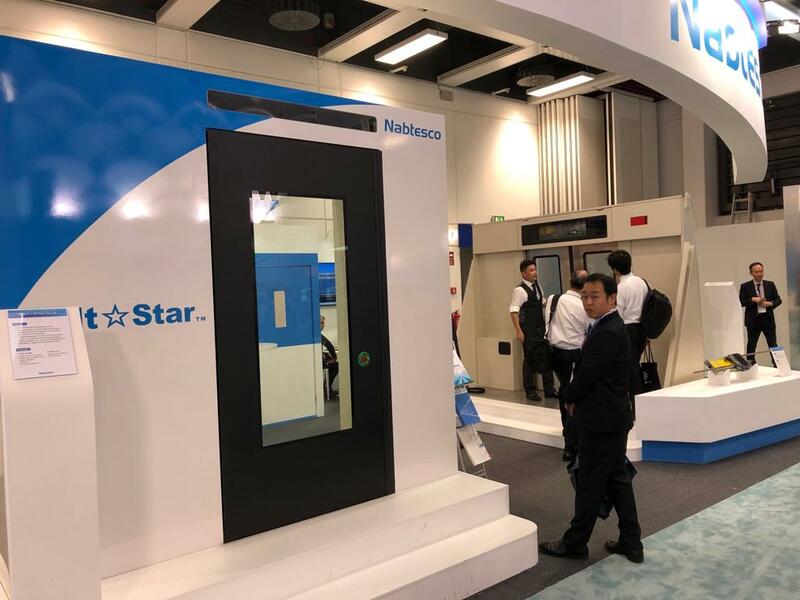 The two largest booths were Nabtesco and Mitsubishi Electric, each occupying their own end. 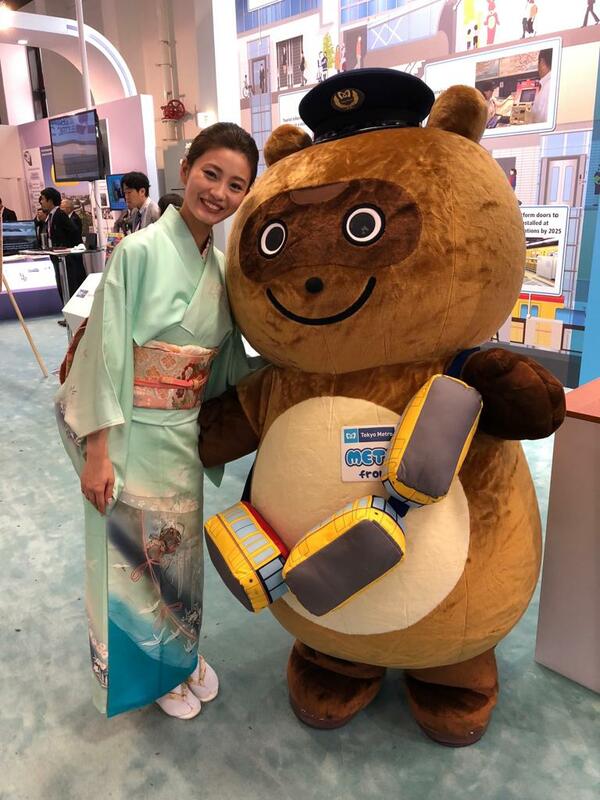 The Tokyo Metro mascot Metopon greeted people as they came through and there was a particularly popular Japan Day Reception with sushi and sake on the Wednesday afternoon.